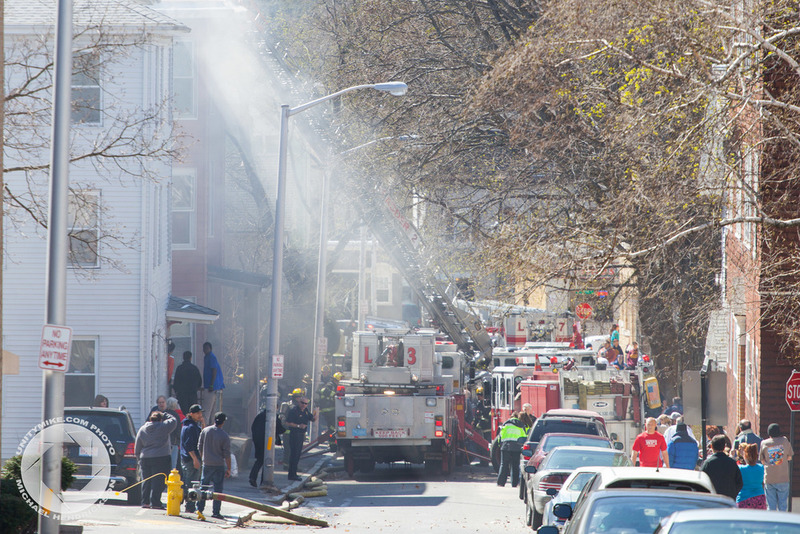 Today there was a fire at 43 Bowdoin St & 40 Williams St in Worcester, Massachusetts. From talking to a neighbor across the street I found out a few details. The man that I talked to was across the street a ways and on the 3rd floor when he watched the fire starting. 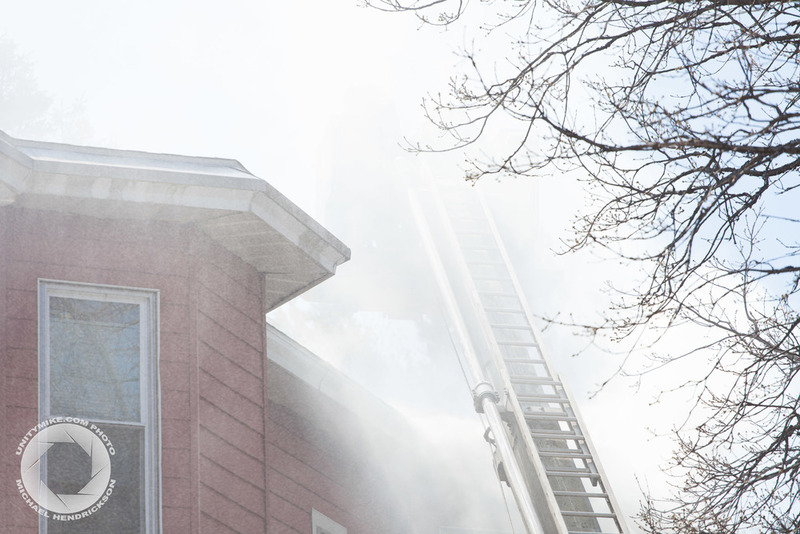 He believes it was started from a grill that was on a stairway and the fire had caught onto the building and traveled to the attic and adjacent building. When I arrived the fire had been contained from what I could tell. Multiple companies on site and special services. Fire fighters on the roof of the Williams Street location and also on the Bowdoin Street address as well. The fire was poking out from the roof in the front of the building as firefighters used two hoses on it. A better account of the progression can be found at ScanWorcester on Twitter and at The Telegram & Gazette. If you're from Worcester i'm sure you'll also be able to find a friend or three that have photos, videos and stories. Hopefully everyone can help these families out who are displaced by this terrible accident. Why do I NEED an engagement shoot.